Hey guys! 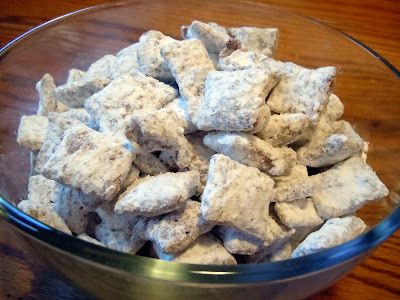 I'm doing a guest post over at Kim's Concoctions today while she's adjusting to the new precious member of her family, so go check out my Puppy Chow recipe! It's a quick and easy treat for new mom's who are balancing a newborn and other young children. Enjoy!